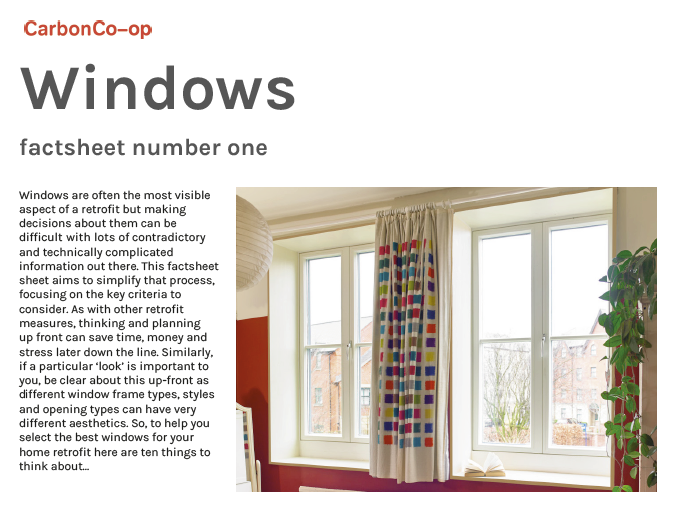 URBED have been commissioned by Carbon Co-op to develop a range of factsheets for their members, helping them to get to grips with some of the more technical aspects of retrofit. The aspiration is to eventually develop a full suite of factsheets covering a range of different improvements, from insulation through to heating, ventilation and renewable technologies as well as guidance on procurement and energy performance. The factsheets synthesise technical information and are designed to aid decision making as well as allowing householders to more easily navigate and probe manufacturer information. They include practical advice about integrating improvements, signpost to other useful resources and provide pros and cons for different materials.